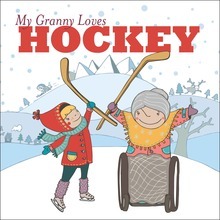 Granny has always dreamed of playing hockey. As a child, she could only watch the boys play on the lake until her mom called her home to do more chores. 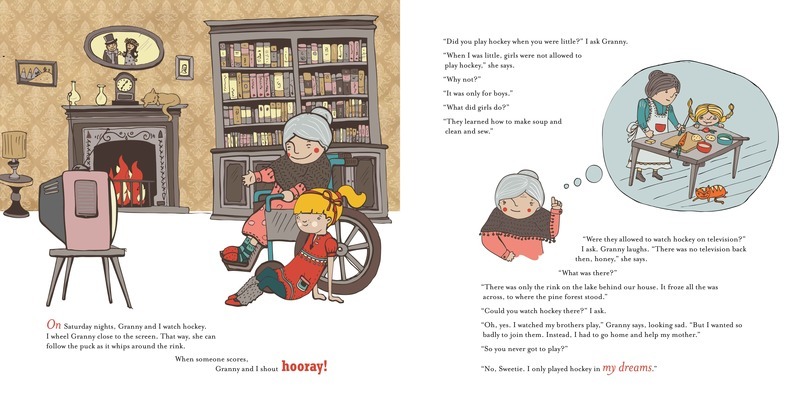 Now, her granddaughter wheels her to the park, where Granny watches the kids play at the rink. One day, the doctor says Granny should take it easy, but she disagrees. So does her granddaughter. She knows that what Granny needs to perk her up is a chance to take a shot on net. 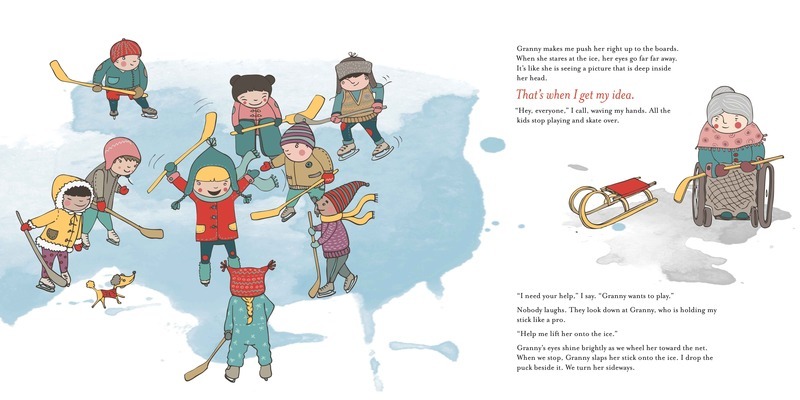 With the help of the boys and girls on the ice, Granny finally fulfills her dream.